If your car, like most cars, has fallen victim to the polar vortex, then you are probably starting to identify the paint job of your car as a nice, salty “white and gray” shade. Cause problems to the mechanics of the vehicle. 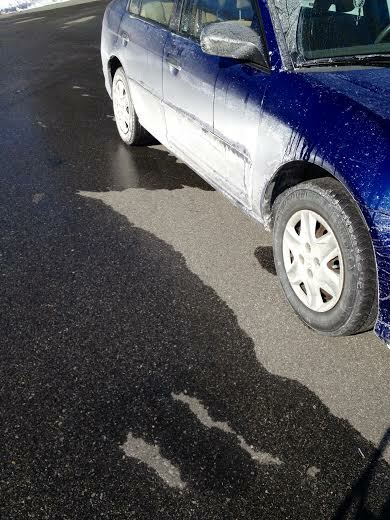 It is recommended that you wash your car within 10 days of traveling on a road treated with salt. It’s a simple way to avoid bigger problems. WRONG. Bolded and capitalized for a reason. Rain may wash away some of the salt, but the residue it leaves behind is just as damaging. When it rain, it is also warmer outside, and salt actually eats away at a car’s exterior faster in warmer temperatures. “Well I’ll just take a trip to the car wash,” you reassure yourself again. It is a good idea to wash your car after a rain storm, but now is not the best time to visit a car wash. The water used there will be getting extra salty from all the other cars trying to escape these very problems. Luckily, Rick’s has the answer. Avoid rusting your car and causing some bigger problems and opt for an auto detail. We can add a protective finish to your car to protect it from the rest of winter’s salty wrath.